During the checkout process you may choose any of our current payment options and continue to place your order. Please note that we will not ship your order until we receive payment from you. Major credit cards & Paypal Express accepted. Shipping is free throughout our website. Simply add items to your cart and proceed to the Checkout page. If you are outside of the USA, use our International Checkout and all shipping/duties will be applied for you. Most orders for frames will ship within 2-4 days. Frames from The Vault, will ship within 1-2 days. 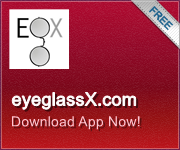 Eyeglass/sunglass lens replacement services typically require about 2weeks. Orders for Undergram rimless eyewear, typically ship out within 2-3wks. Please see our Returns Page for complete details regarding our return policy. In general returns are accepted within 30 days of delivery date.